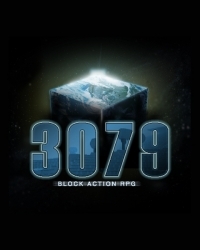 Box Text: 3079 is a futuristic, open-world action first-person role playing game. You arrive on a planet experiencing constant war. It is your duty to find out why the warring factions cannot find peace on their own & hopefully restore it yourself. All areas, buildings, items, quests and characters are randomly generated. You will find unique lands & challenges. I hope you enjoy it! This is a list of VGCollect users who have 3079 in their Collection. This is a list of VGCollect users who have 3079 in their Sell List. This is a list of VGCollect users who have 3079 in their Wish List.